These two are developing a bond. Pumpkin really likes Toby, and regularly rubs herself against him. He does not appear to mind. The three of us have somewhat of a morning routine, as I am an early riser and usually the first one up. 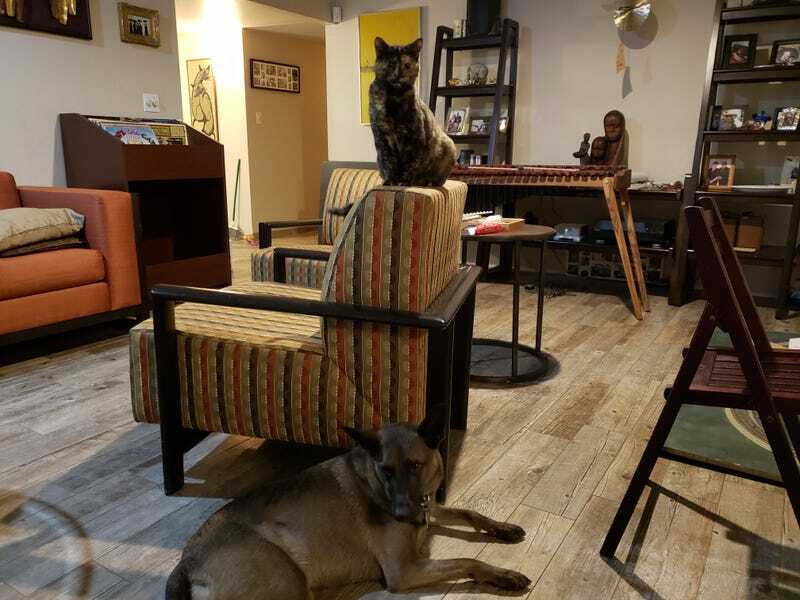 I get them some breakfast, they go out, and then they sit near me while I have coffee. In between, I run a side trip to Camarillo for lunch with Oppo His Stigness, slowly adding to my list of Oppos I have met face to face. It’s like a real life Pokemon Go game, but with Opponauts. I am stalking all of you in extremely slow motion.